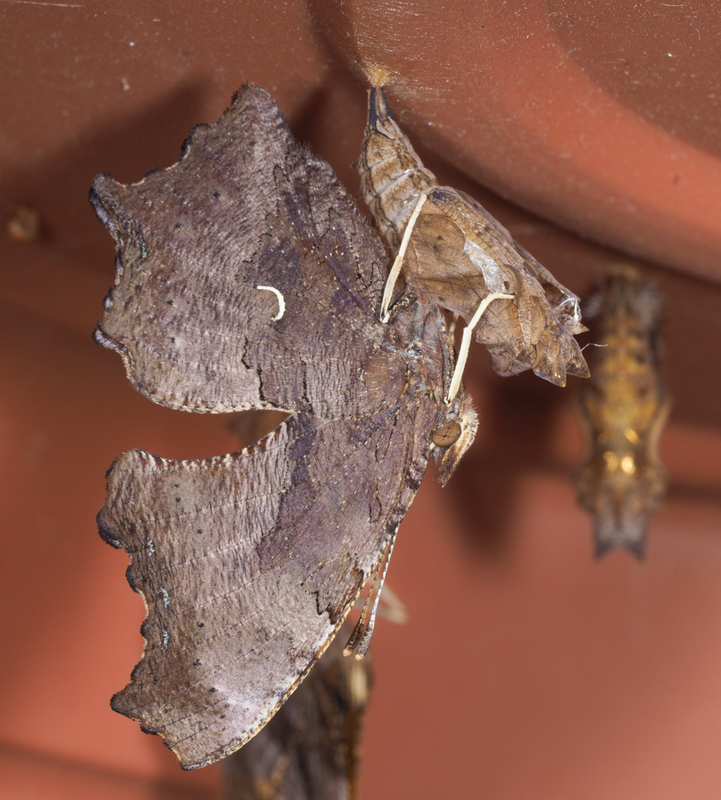 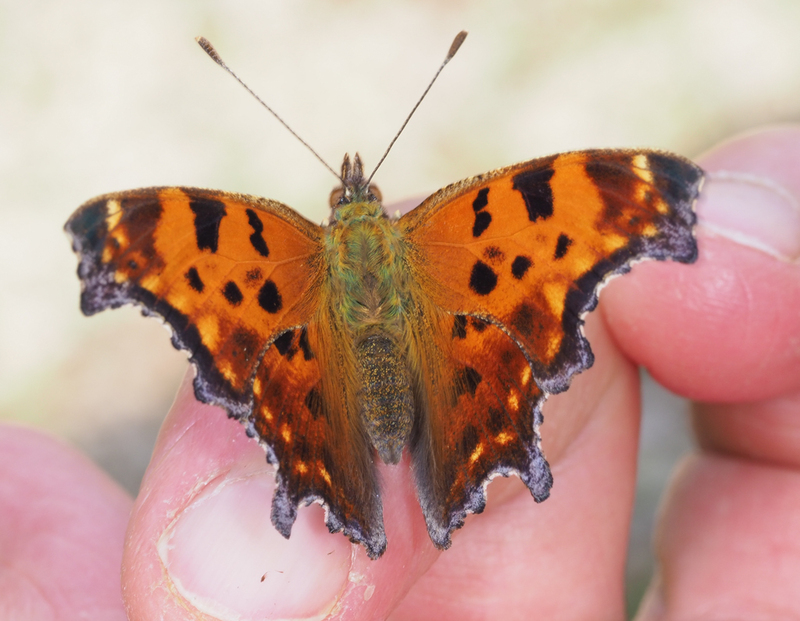 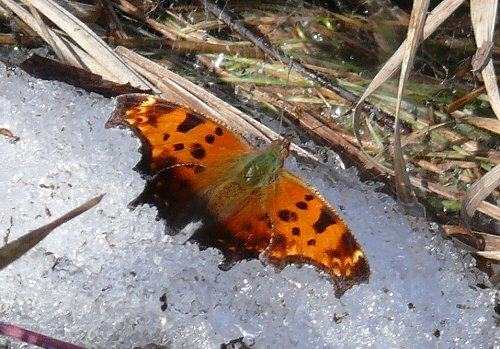 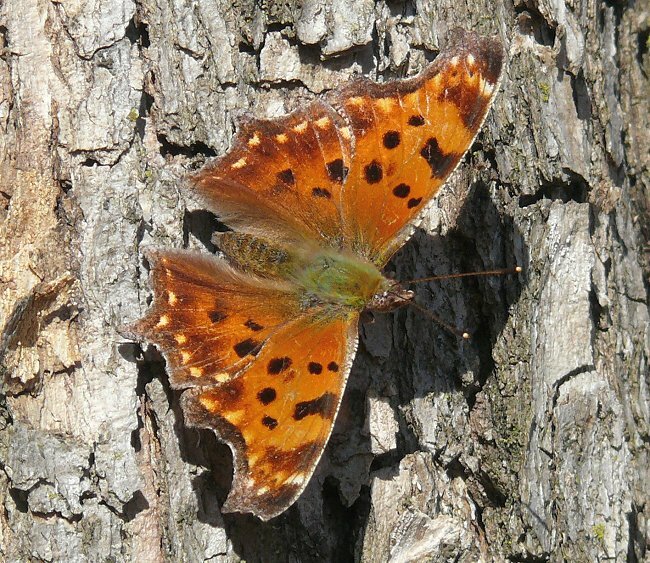 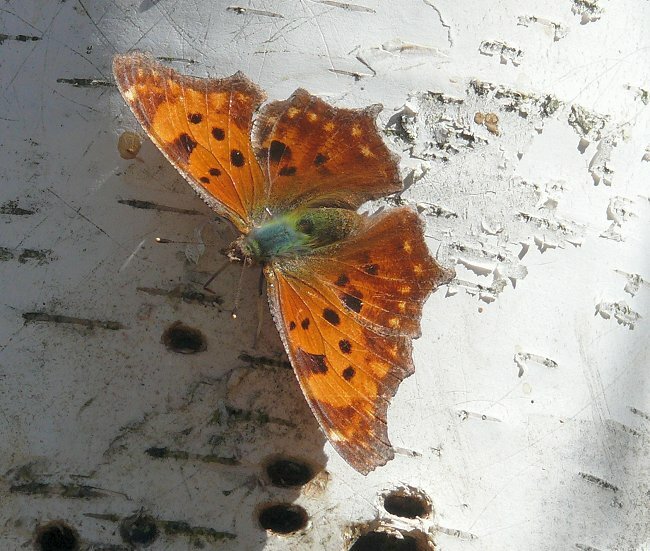 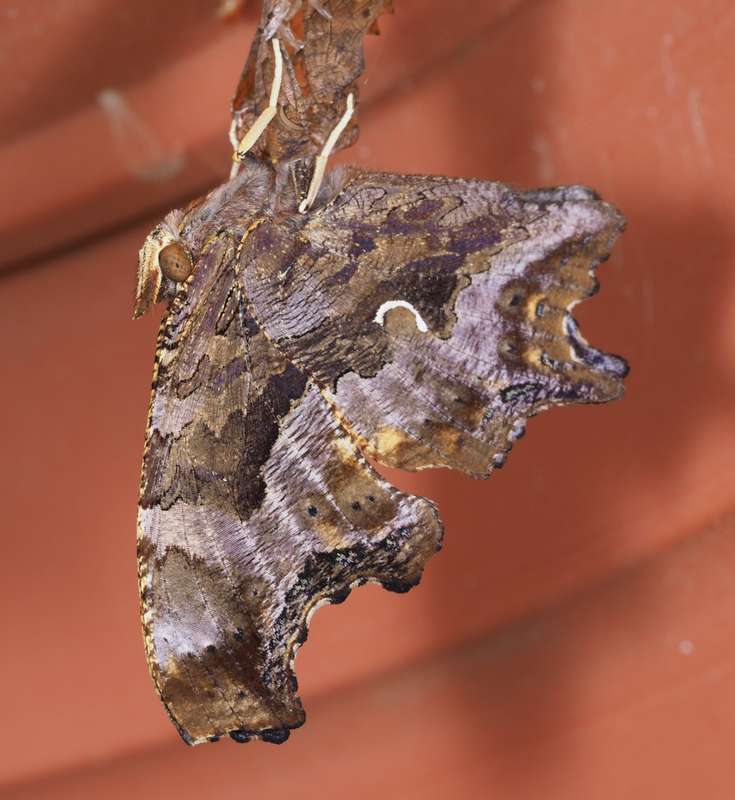 Eastern Commas spend the winter as adults, so we see them very early in the spring and late in the fall. 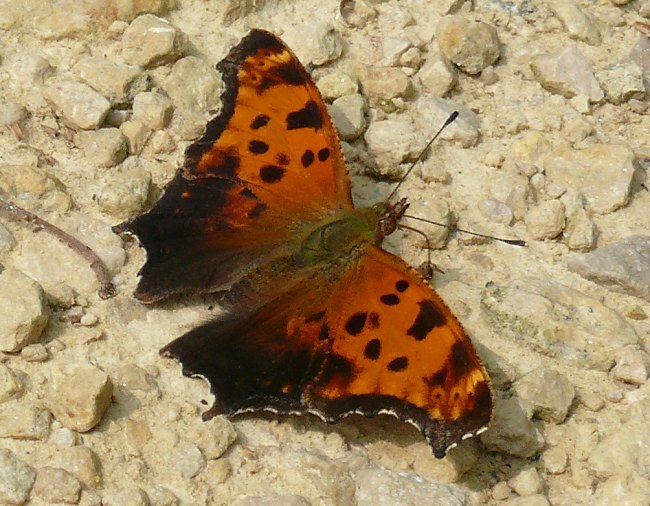 They also have a summer generation which has much darker wings. 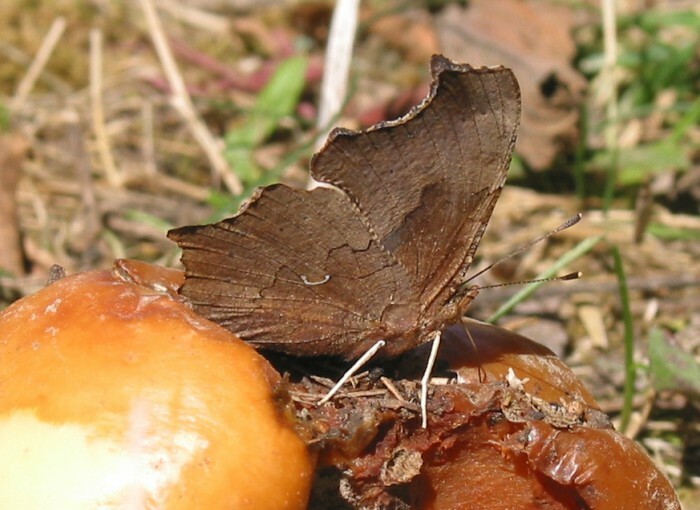 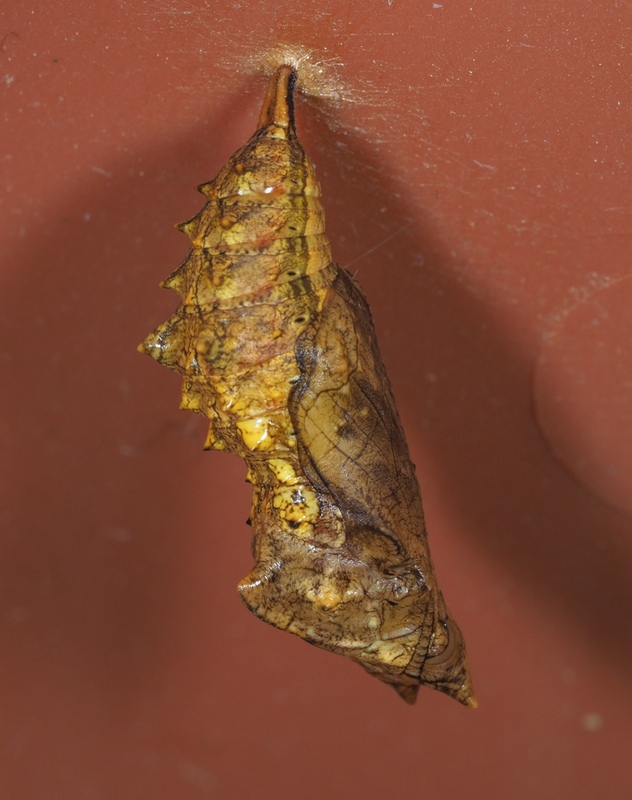 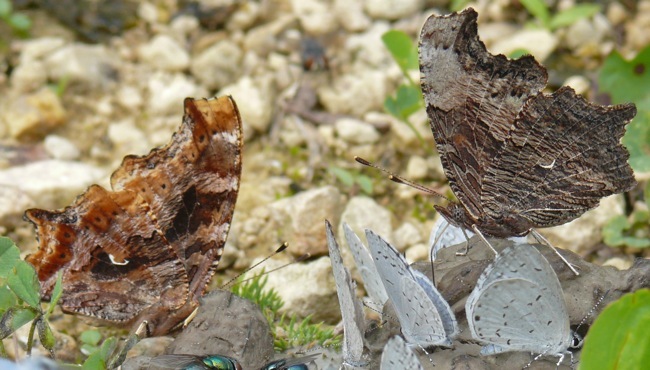 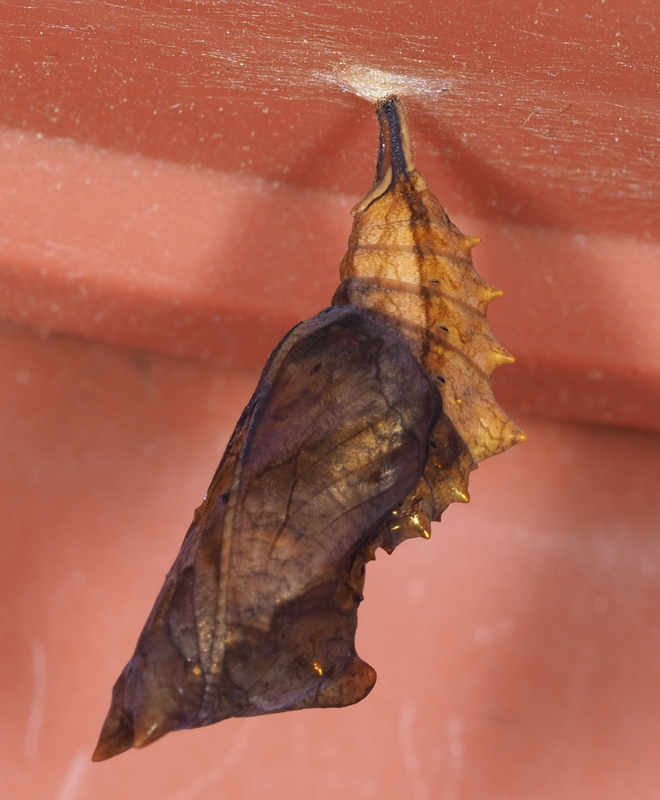 Like other early and late season butterflies, adults eat tree sap and rotting fruit rather than flower nectar. 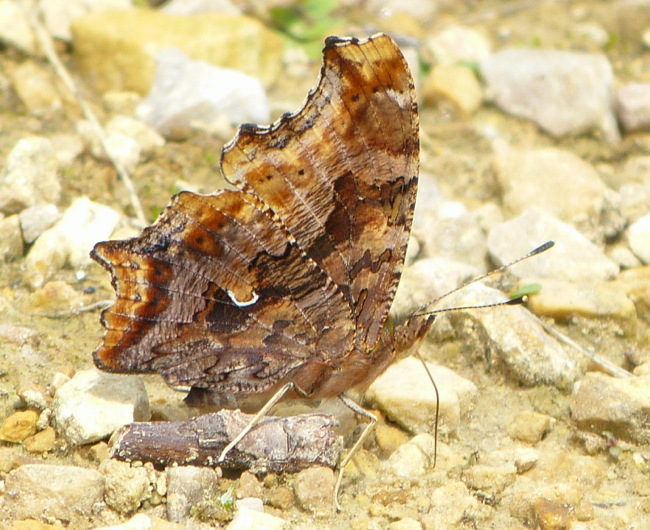 6/25/2011 Eastern Comma (left), and Gray Comma (Polygonia progne) (right) are very similar from the top, but their underwings are distinctive. 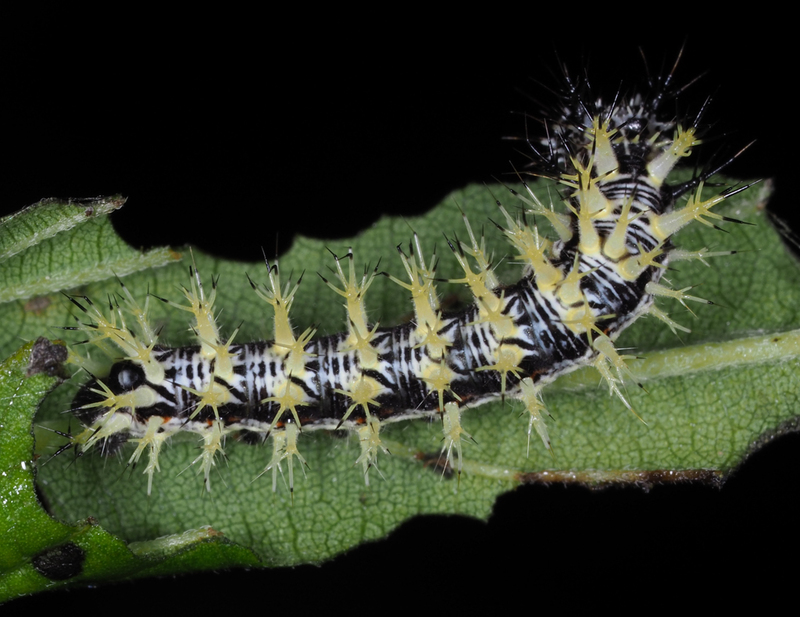 8/30/2017 Larva found on Stinging Nettle (Urtica dioica). 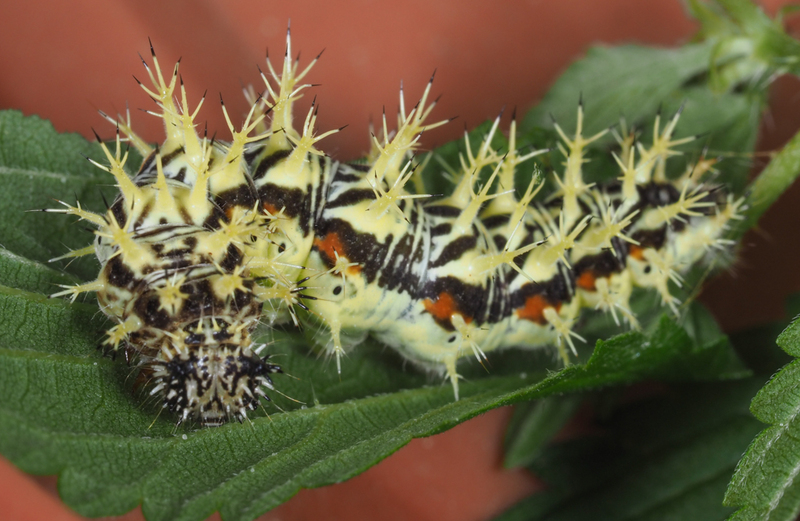 I reared 5 of the 9 or so larvae I found on the nettle plants outside our door.